Sometime in the 1970s, my parents took my brothers and me to Walt Disney World in Orlando, Florida. It was my first trip to the land of Mickey. Even though I was a very self-conscious teenager and terrified of being seen in public with my parents, I was enamoured and mesmerized by the strange, utopian setting that Disney World is famous for. My father was a keen photographer. So he always supplied us some kind of point-and-shoot film camera to play with on our family vacations. One of the first things I remember seeing at the ‘happiest place on earth’ (after the long queue to get into) was a sign similar to this. Following these instructions would NOT be considered street photography. Although, this photograph of the sign in the foreground and the tourist taking a photo in the middle-ground follows the spirit of street photography. Image courtesy of flickr. Following the instructions on this sign is a good example of what is not street photography. And, this is an auspicious segue to describe street photography in terms of what it isn’t. What else is not street photography? Photos of your pet dog and cat. Abstract & fine art photography. Urban exploration, cityscapes, & architecture. Not street photography. 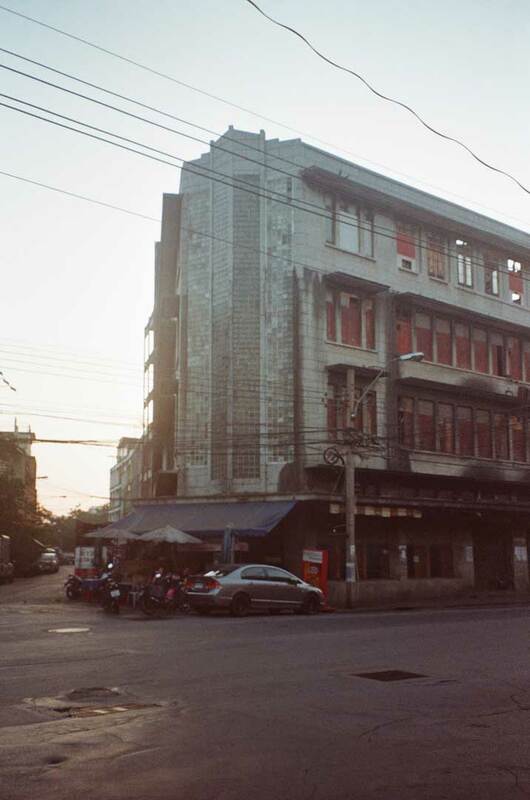 A building in Bangkok’s China Town District taken on 35mm film. Better classified as a cityscape, architecture, urban exploration, or new topographics photography. An example of street photography. 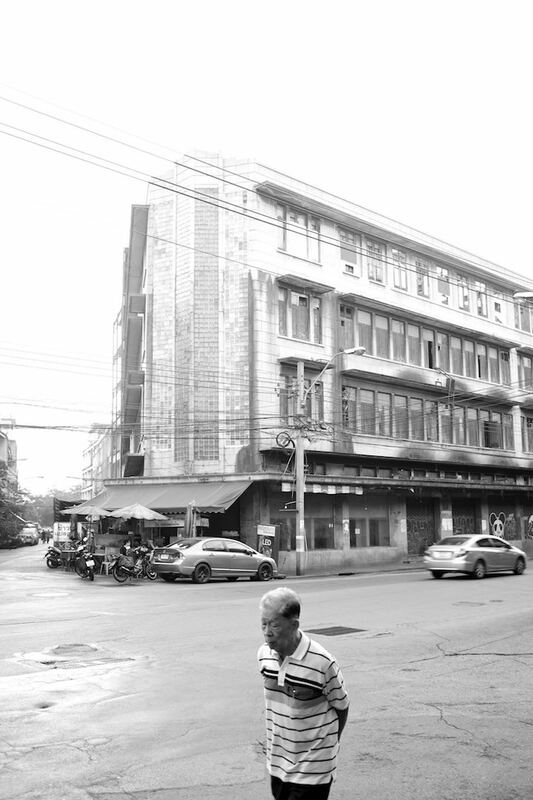 A man walking by (strideby) a building in Bangkok’s China Town District in the background. For me, street photography resembles more of a philosophy than a technique. I’ve tried to express the philosophy in the mission statement for Bali Street Photographer. Pop-quiz! According to my philosophy, does a candid photo of someone at the beach with no street in sight count as street photography? Yes! Ironically it does. Clear as mud? Okay, if you need some (shall we say) structure, Lomography’s 10 Golden Rules is the best collection of street photography guidelines I’ve seen compiled in one place. Pay extra careful attention to rule #10. What one sees at a Balinese wedding. Candid street portrait of a Balinese bride with a chicken sitting above her head. Taken on 35mm film with an unexpected surprise of double exposure going on in the bottom part of the frame. Head over to the Jalan Jalan photo gallery for more street photography examples and inspiration. For me street photography is an attempt to capture random acts of candidness. It’s a human condition style of photography that tries to portray people in everyday life situations where everyone might be looking but not really seeing. All photos courtesy of mark l chaves unless otherwise stated. HCB quotes courtesy of Magnum Photos. 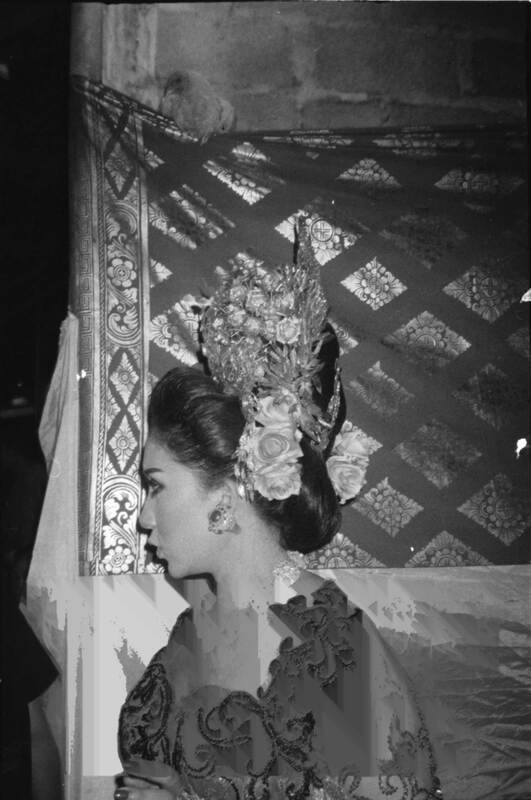 Feature photo by mark l chaves on 35mm film taken in Kampong Glam, Singapore.